This is a really nice expandable hose which is in blue instead of the usual green. I like different. This also comes with everything you need. 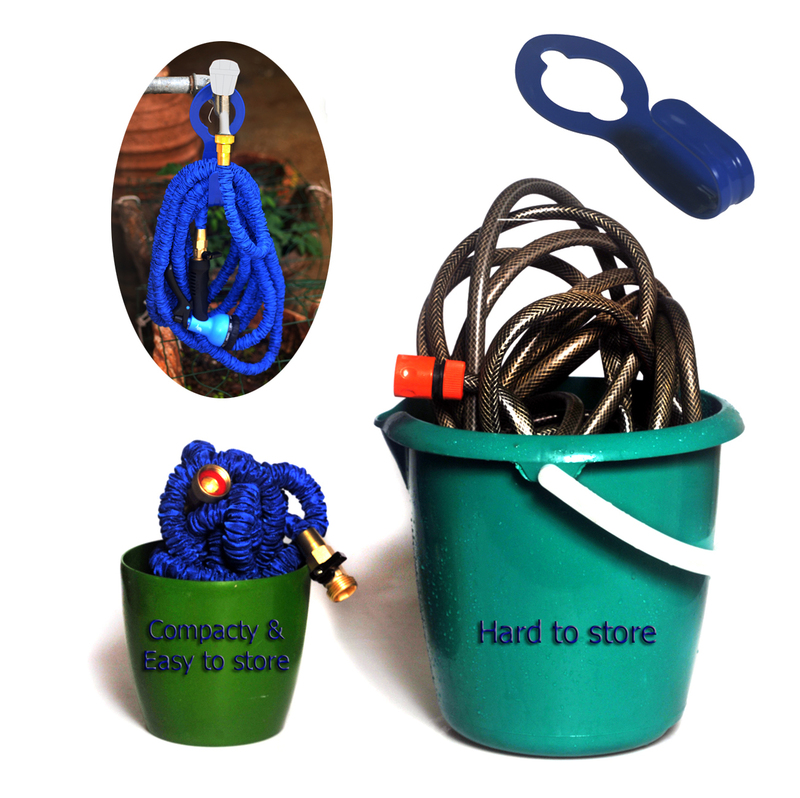 No looking around for pieces to fit together your hose, sprayer, or figure out where to hang it when not in use. Awesome gift for anyone who loves gardening or washing their car, or pets. This expands out to 50 ft which is great for most homes. I love that this doesn't weigh a ton, it is even easy for me to put away. The other thing that is great about this being blue is it is easy to find in the grass. Love it. 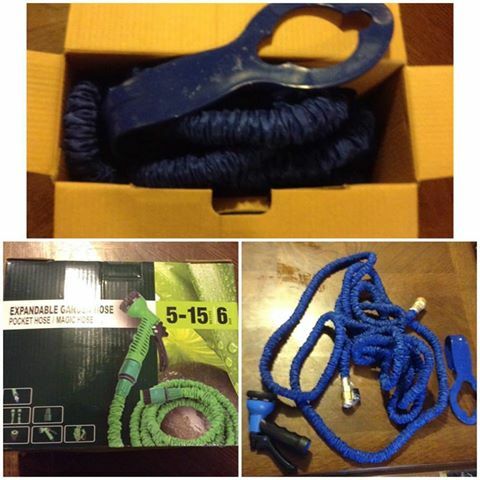 This expandable garden hose can be found on Amazon. What they have to say about their product. 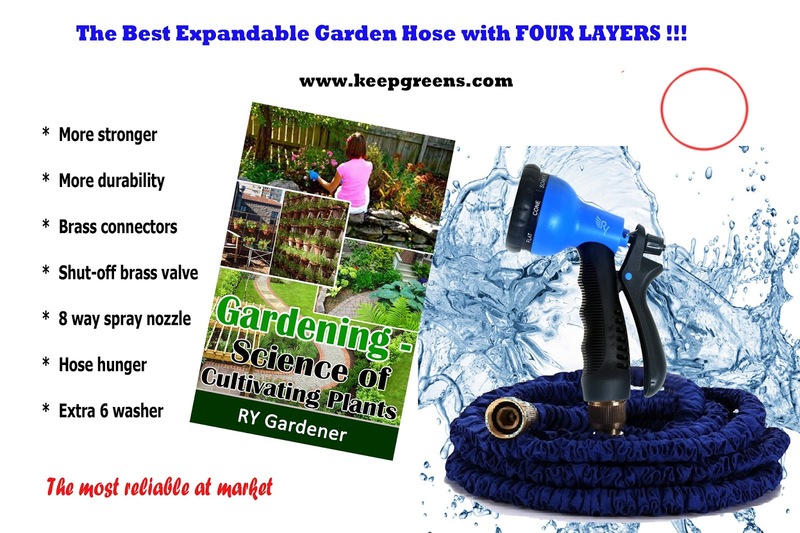 Are You Tired of Losing Money on an Expandable Hose That Breaks or Stops Operating Properly Every Two Months?That's why we created the New RY GARDENER Expandable Garden Water Hose For You! There are many cheap expandable hoses on the market and all look the same, just with different colors. The latex composition and the number of layers determine the lifespan, so 3 layers are preferable to 2 layers. Our new material have a double use: 1) This sets the degree of expansion of the inner tube, and 2) protects the hose against external hazards. 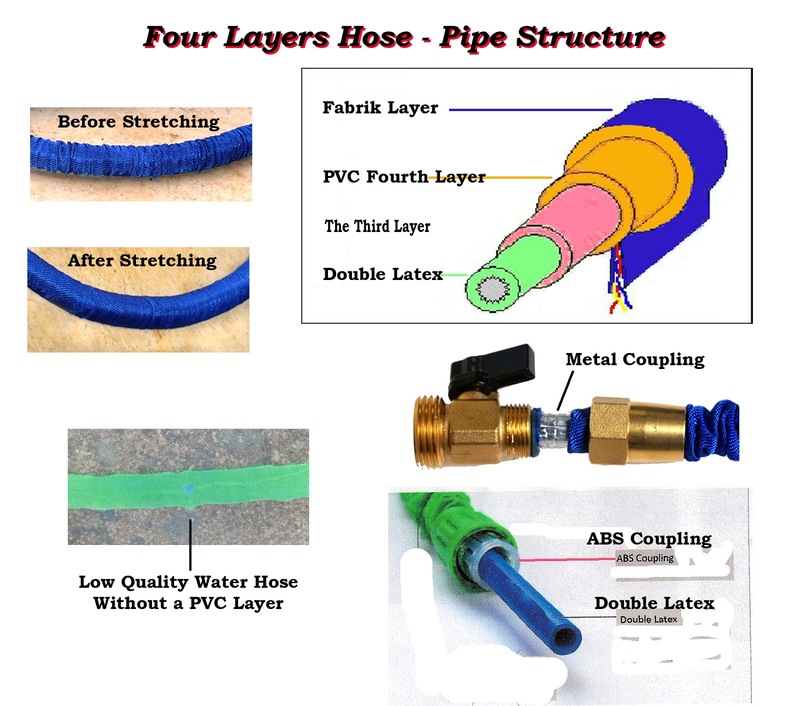 RY recently developed a new hose with 3 layers of high-quality latex plus a fourth layer of PVC for the hose in order to provide the inner tube strength and protection from external injuries (see photo). In addition, we inserted an aluminum clamp, which is highly resistant to high pressure, under the brass connectors. Improvements that increased the water pressure capacity in the hose to 170 psi (12.7 bar) allow for more widespread uses. Full set at same price: To complete this excellent product with the shut-off-valve brass connectors, we provide free a high quality spray nozzle with 8 adjustable patterns, a hose hanger, and 6 washers. You can rest easy with your purchase. 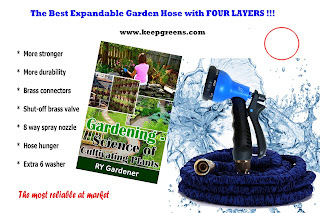 We are absolutely confident in our product and Guarantee our Expandable Garden Water Hose for a Full 12 Months!